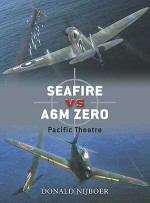 The Grumman F6F Hellcat and Mitsubishi A6M Zero-sen were the two principal opposing fighters in the brutal aerial clashes of the Pacific War from 1943 onwards. 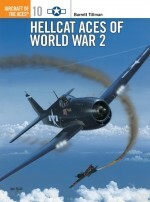 Reminiscent of the preceding F4F Wildcat, the F6F Hellcat was designed specifically to counter the earlier A6M2 Zero-sen, the strengths and weaknesses of which became fully understood by US designers after an undamaged example was recovered in the Aleutians. The powerful Hellcat had an impressive top speed, rate of climb and armament, and it retained its predecessor's incredible ruggedness. The A6M5 Zero-sen was also born out of an earlier type, but was intended merely as a stop-gap until more modern Japanese fighters could be produced to restore performance parity with Allied aircraft. 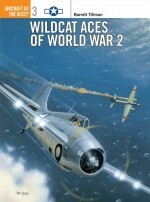 The chaotic conditions of the Japanese Aircraft industry and war economy prevented new types from being built.Featuring detailed artwork illustrating the technical specifications of these two types and the dramatic encounters between them, this volume focuses on how these iconic fighters came into being, and how they fared as they faced one another over the Pacific skies of World War II. Edward Young is a retired financial executive with degrees in Political Science from Harvard University and the University of Washington. During his career he held assignments in New York, London, Tokyo and Hong Kong. He has written a number of books and numerous articles on aviation and military history. 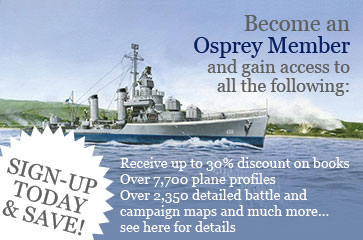 He is the author of Osprey Campaign Series 136: Meiktila: The Liberation of Burma, Warrior Series 141: Merrill's Marauders, Osprey Combat Aircraft Series 87: B-24 Liberator Units of the CBI, Duel Series 41: B-24 Liberator vs. Ki-43 ‘Oscar' and Osprey Aircraft of the Aces 109 - American Aces Against the Kamikaze.